The journey through Triduum is always a transformative one for me. Part of my love of the Triduum might be the fact that even though I was raised Catholic and went to 12 years of Catholic school, I never really experienced it until I came back to the Church as an adult in my 20s. 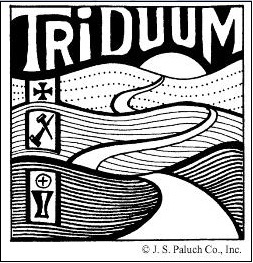 My first Triduums were experienced as part of a parish faith community that took these days seriously and journeyed together in a meaningful way. In fact, when I reflect upon my own personal vocation discernment journey, I realize that Triduum played a key role. Head over to www.csjpvocations.org to read more!